As the awareness of environmental issues and their causes increase both among government officials and society, more attention is being paid to renewable energy and its potential in not only improving our everyday lives but also in minimizing the long-term damage done to the environment. Thus far, scientists, engineers and physicists have come up with numerous renewable energy technologies among which solar energy seems to be the most promising one. This expanded awareness and vast research that has resulted in great inventions have contributed a lot in enabling the possibility to introduce renewable energy technologies not only for mass production of energy but also to adjust the systems so that they could be used for individual household needs as well. That is why the popularity of solar power as a renewable source of energy increases not only among companies and manufacturers but also small house owners. Stimulated by beneficial tax incentives, in the United States alone around 66,000 solar systems were installed during the first three months of 2015, and these numbers will surely grow as more new solutions and improvements are developed, gradually enlarging the role of alternative energy within the power generation industry. 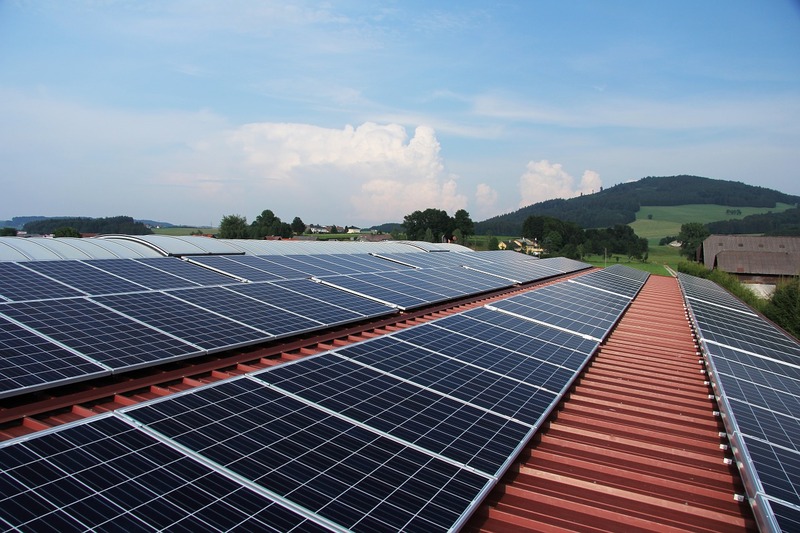 However there are several questions that have to be considered prior making a decision to purchase solar panels and install them on your roof or in your yard. Whereas for some households having solar energy will certainly be a great benefit financially-wise, for some other cases it might be a better choice to remain with the existing power provider or choosing some other alternative. The facts listed below should help you to have a better insight into both the benefits and disadvantages of solar power thus helping you to make a choice that would be as reasonable and well-considered as possible. Reduces electricity costs. This is one of the main considerations why so many people choose to switch to solar energy. When buying the energy from utility companies, you are paying not only for the electricity itself but you are also spending quite a significant amount of money for utility’s fixed charges. It has been estimated that in the United States, houses that are using their own solar power are saving up to $100 per year which means that a solar panel is surely a great long-term deal. Saves your money in other ways. Apart from reducing your electricity bill, there are a couple of more ways how your budget can actually benefit from providing your house with a solar energy. In many states, commercial and residential properties that have switched to solar energy can receive great tax incentives. For instance, the residents of the United States have right to receive The Federal Solar Investment Tax Credit (ITC) which is a 30 percent tax credit for companies and house owners that use solar energy. Also, a lot of electricity companies are willing to buy excessive energy. It means that you can actually earn if your solar panels produce more energy than you can consume. Another aspect you can think of is the cost of the energy vs. the cost of the converter. For example, imagine you decide to heat your house with wood instead of using solar power. In that case you would have to purchase not only a proper furnace but also provide wood every year. Sum all these costs up within a span of for example 5 years and you will clearly see why the costs of converting solar power into energy are not that high after all. Environmentally friendly. Basically, there are three main aspects that make solar power a great idea if you want to power your home at the same time paying maximum attention to the carbon-footprint: solar energy is renewable, it is abundant and it is sustainable. The potential of solar power is, in fact, larger than we can comprehend as the surface of the earth receives sunlight which turned into an energy would create a power that nearly 200000 times exceeds the amount of power needed to supply the whole planet. The best part is that for at least 6.5 billion years we will not run out of this energy i.e. it will be possible to use solar energy as long as the sun is alive. Good availability. Unless you do not live in a place with just a few sunny days per year, there still should be great possibilities for you to collect that precious solar power. Of course, there are places that are more suitable for these purposes than others, so doing a thorough research on how much energy your panel will provide in the given location, will surely help you in making the right decision. Keep in mind that you do not necessarily need every day to be bright and sunny to collect enough solar energy and enjoy its benefits. The system is expensive. Although more and more governments introduce different methods to encourage people to start using solar energy (one of them would be the tax incentive mentioned above), it is still a costly investment to make. Of course it will pay off within a matter of several years but the initial amount of money needed to start the whole process is not affordable to everyone. The costs of panels depend on the necessary size of the system (number of panels) and you can calculate it knowing the average electricity consumption of your house. Speaking in very average estimations, the total cost of solar installation can vary between $15,000 to $29,000 for average-size systems sized between 4kW and 8kW. Taking into consideration all the factors (reduced electricity bill, excessive energy that can be sold, tax incentives and others) it usually takes around 15 years for a solar panel system to pay off fully. However the good news are that more and more is being done to increase the consumption of solar power – more costs are being covered by the government or reimbursed after a certain period which makes it possible to shorten the pay-back time even to 6-9 years. Energy storage is costly. Not only the panels themselves cost a lot but also the batteries for storing the energy that could be used for the days when there is not enough energy produced. However consider your location and sunlight availability before making the decision to invest in a battery. If you are using majority of electricity during the daytime when there is the most of the sunlight, you should face no problems or electricity interruptions when you need the power the most. Rather low power density. Power density or watt per square meter (W/m²) indicates how much space it requires to produce certain amount of energy. When the power density is low, it means that it requires a lot of real estate to produce the power that would be enough to meet the demand. Although in the case of solar panels, the power density is quite low (170 W/m²) it is still higher than for other alternative power sources. The process of installing can be time-consuming. Since in many countries the governments have made certain laws, rules and regulations related to acquiring solar power, it might take you up to a few months to not only install the solar system but also to receive all the necessary permissions to have a solar panel on your rooftop or in your yard. This can be a bit nerve-wrecking experience unless you consult some experts first that will help you to plan the whole process through so that it would not be too lengthy. Solar power is intermittent. Of course, there are not many places that have a constant sunlight every day and access to sunlight is limited during certain times of the day. Plus it is still not that easy to predict the overcast days. There will be days when your solar panel will produce very little energy; however if it is for household needs and not for a very large consumption, the hours of the day without sunlight should not have much of a bad impact on the energy you can acquire throughout the month. Although the science and technology has gone quite far in the field of acquiring and using solar power, there is still a lot to be done to improve the system itself and make it even more available among the owners of residential properties. 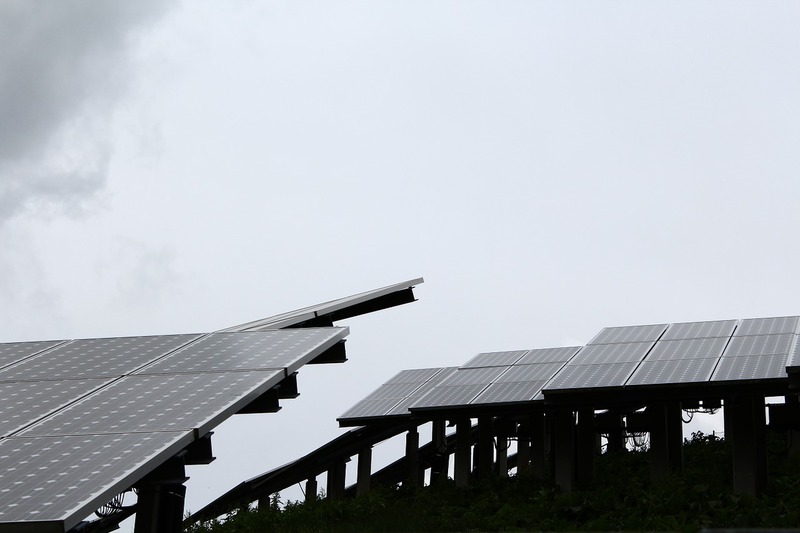 Decreasing the negative environmental impact caused by manufacturing solar panels is another issue that has been brought up and will certainly influence the future of solar energy. Many scientists are currently working on finding ways how to reduce the amount of rare materials that are needed for modern panels based on thin-film technology. One of the potential ways could be introduction of silicon-based nanotechnology which might make future solar panels not only a lot lighter but also transparent. However one thing is clear: there is no way that the growth of solar power consumption will stop as worldwide installed solar panel capacity is known to have constant growth of average 43% per year since 2000. As for the price of solar power, it is most likely that it will get only cheaper. As new technologies emerge and more products are available in the market, there is a greater competition among solar panel manufacturers taking care of steady decrease in the prices of solar systems. Moreover, since more countries approve market systems that require putting a price on carbon emissions, alternative energy technologies gradually shall become cheaper than fossil fuel technologies. There are some countries already, such as Germany and U.K., who are working under particularly strict carbon policies and most likely more countries are about to join this strategy in the nearest future. Next story What Types of Light Bulbs are Used in Outdoor Flood lights? Previous story What is a CFL bulb and How does it work?